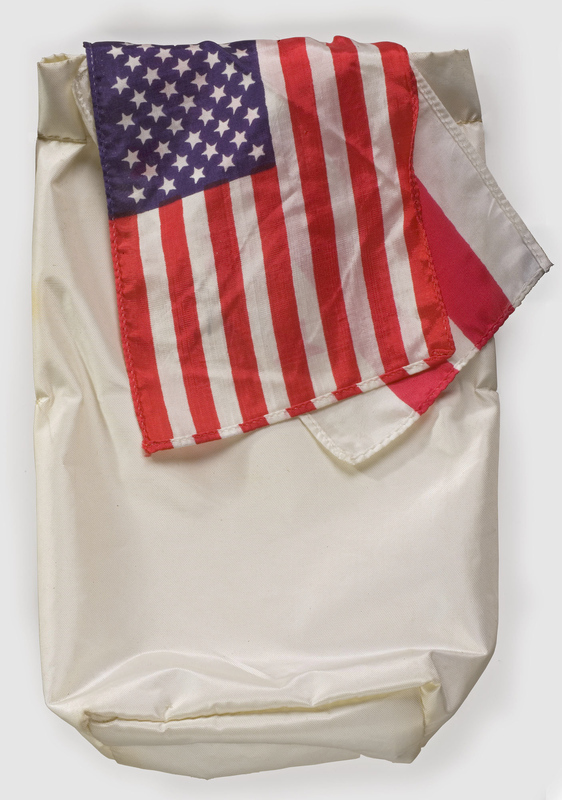 This small beta cloth bag was carried aboard the Apollo 11 flight by Michael Collins. It was his Personal Preference Kit, so named because all astronauts were permitted one small bag for personal or small items of significance they wished to carry into space. 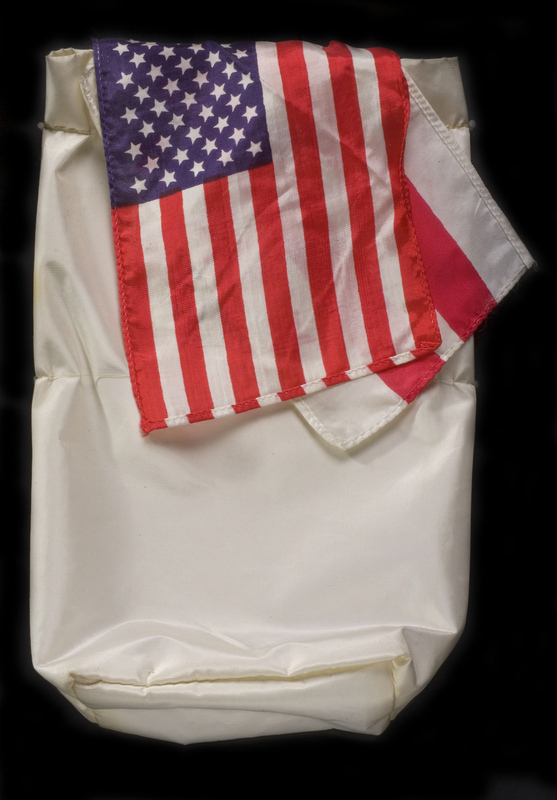 Among the items carried by Michael Collins were three flags; the US Flag, the flag of the District of Columbia, and the flag of the US Air Force.